lived with his wife at Uplands on Exeter Road and some of his sons were also employed at the mill. 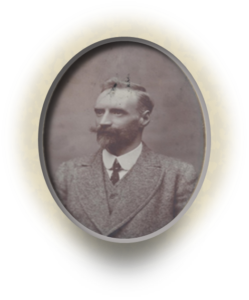 During his period of office, Robert Henderson Clapperton, who was born at Penicuik near Edinburgh, experienced the challenges of the extensive fire to the rag loft on 5th May 1914, followed by the shortages of labour, stock and orders when WWI started. The Clapperton family with others formed a cooperative to purchase the mill from the Allen family in 1910. Robert’s son, George, was the main director and he managed a paper mill in Oxfordshire. Robert had a son named after him and this often causes confusion. Robert Henderson Clapperton Jnr did not work at Stowford Mill but was the author of ‘Modern Paper-Making’, the paper makers bible, which is still referred to today. Robert and his wife lived at Uplands on Exeter Road and some of his sons were also employed at the mill. 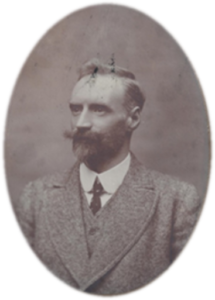 During his period of office, Robert Henderson Clapperton, who was born at Penicuik near Edinburgh, experienced the challenges of the extensive fire to the rag loft on 5th May 1914, followed by the shortages of labour, stock and orders when WWI started.